Again I find myself in Miami, another hot and humid day. Sun blaring down as usual. Except, this day was not an ordinary day, it is a day that will live on in history: an American flag rises in Havana, Cuba. People from all over the world traveled to witness what was once thought as improbable but not impossible. As I watched on television an Australian tourist was crying at the events unfolding. 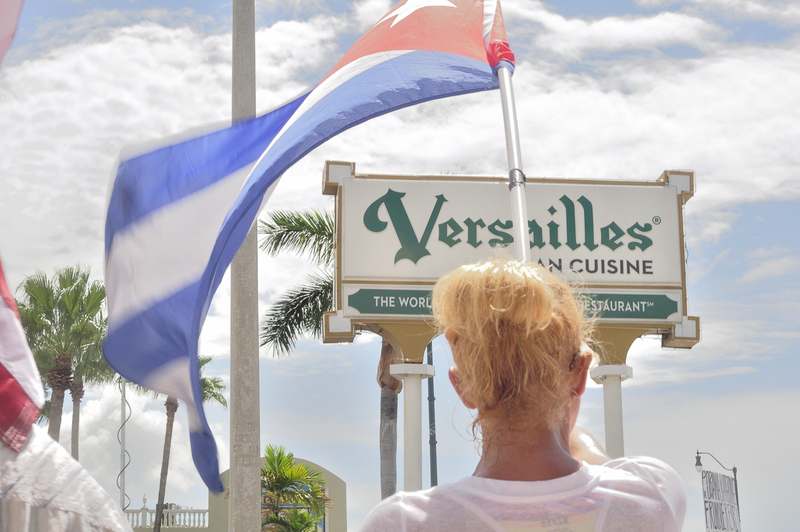 This definitely has taken a toll on the world as the world has felt the pain of the Cuban people and the Cuban-American people. 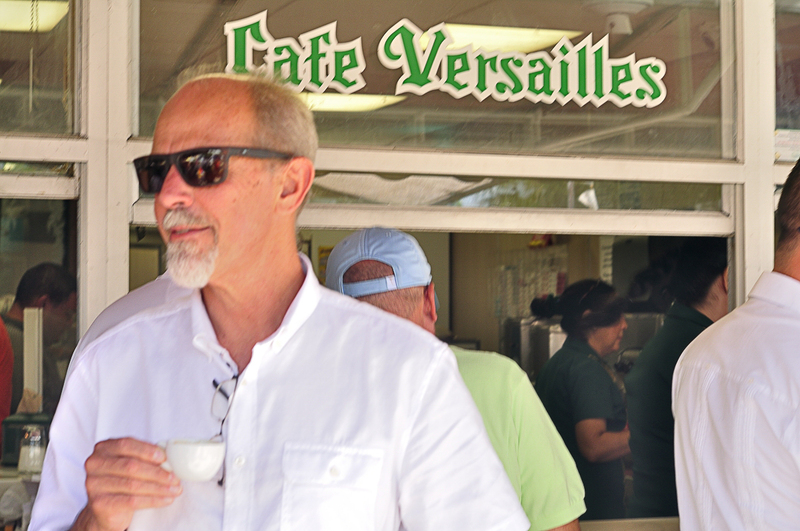 I again made my way from Miami Beach to the famous Calle Ocho’s Versailles Café at the once affluent Cuban district. This time more protestors, of which there was only a handful, more news crews than anything. 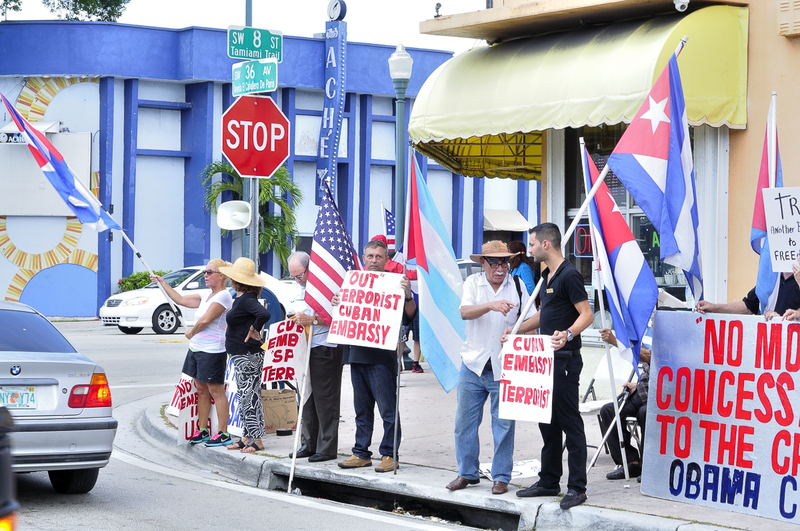 Tourists mostly, all of them, even the protestors, except for two or three that really stand for the anti-Cuban relations cause. A cause just by attending this spectacle one can see is finished and futile. Progress has gone ahead without them their minds stuck in twentieth century politic as American Presidential hopeful Marco Rubio says, I paraphrase, “we must get out of 20th century politics”, yet he also still remains. 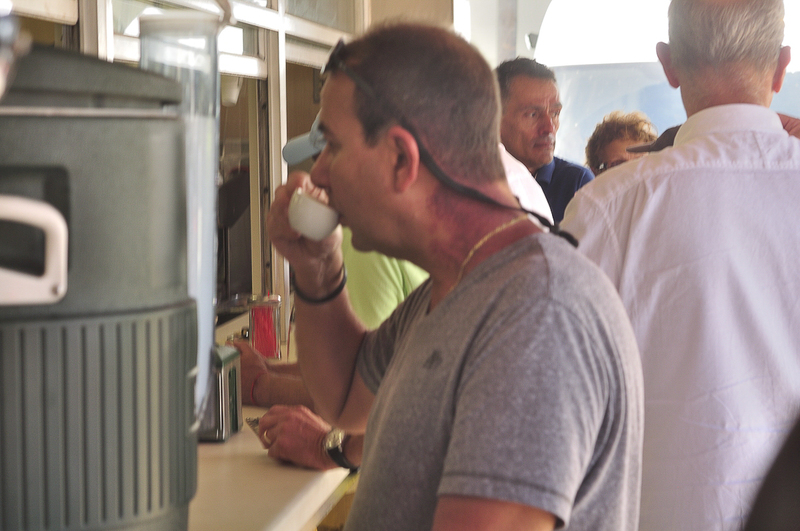 What I noticed on arrival: tourists, drinking cafecitos (Cuban Coffee shots) and smoking cigars. 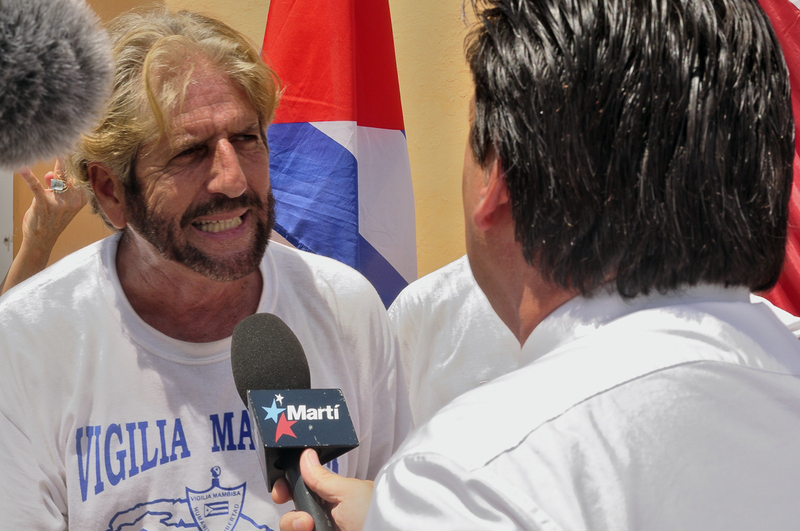 The news crews partaking, even smoking Cuban cigars almost as if they are in Cuba enjoying Cuban delicacies – already. Everyone with smiles on their faces, wait isn’t this suppose to be a protest? 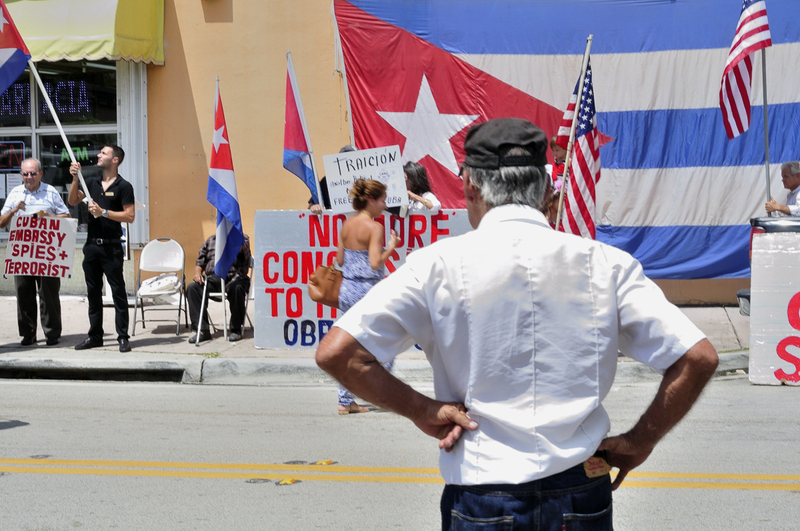 Again, not enough Cuban-Americans these days have their hat in the ring except a few crying out in the wilderness, “150 people just arrested in Cuba” or coming up with or inventing some trivial event to try and stir up old world animosities. Regardless of any naysayers, it is accomplished. Time to visit your local travel agent prepare your luggage, make sure to bring sunscreen and a guayabera (classic Cuban shirt) and begin to dream of a voyage to the once Paris of the Caribbean. 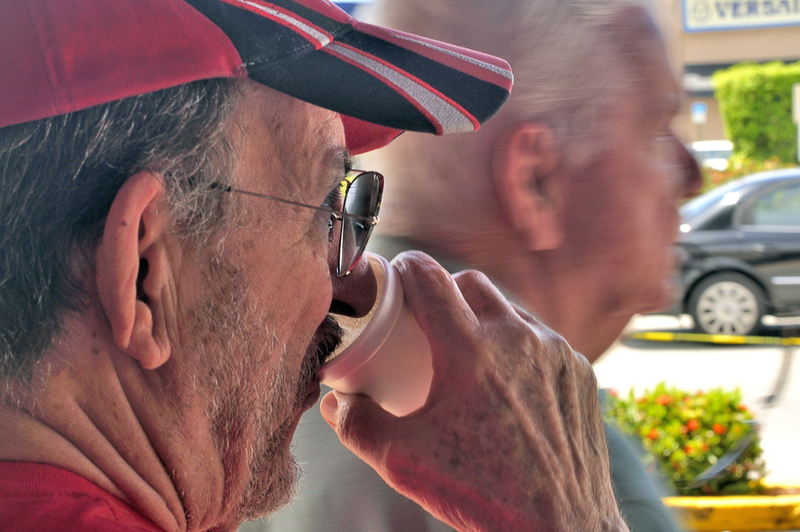 Classic American cars, cafecitos, Cuban cigars and Cuba libres (rum and coke) await. If only Hemingway was still alive.